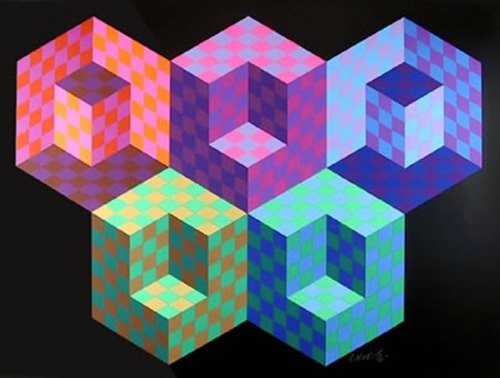 Happy Birthday Victor Vasarely! Victor Vaserely is widely accepted as the “grandfather” of the op art movement. 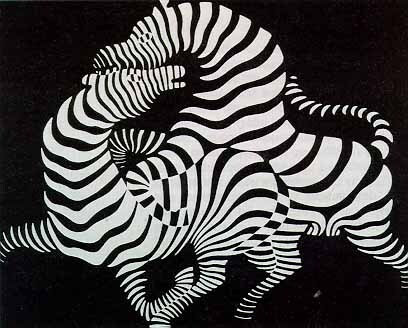 Zebra (the work pictured above) is also considered to be one of the earliest examples of op art. Op art is art that makes an optical illusion or plays a trick on the eye. click the link below to try a op art tutorial we created!